If you’re a web worker, mobile computing is either a necessity of the job or something you choose to do to get away from the monotonous confines of your office work station. Along with your laptop and (most probably) your iPhone/Blackberry/[insert handheld here], there are a plethora of useful devices that you can tag along with you to enhance your computing experience. Here’s a round-up of 10 cool gadgets that can supplement your remote workspace. If you’d like to keep things minimal and leave your big, bulky, heavy laptop case behind, LapStrap is an excellent solution. 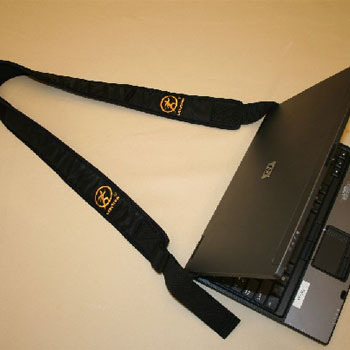 It’s a simple shoulder strap that attaches to your laptop. The LapStrap also solves the awkward moments in airport lines where you struggle to juggle between your other carry-on luggage and taking out your laptop from its conventional case. 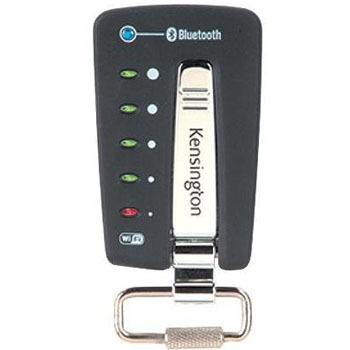 Searching for a WiFi connection can sometimes be a pain in the behind, but Kensington’s WiFi Finder Plus is an ultra-small (key chain size) solution for all your hotspot-seeking woes. It saves you the hassle of turning on your laptop or PDA just to check if there’s a connection nearby that you can access. They throw in a built-in flashlight… just for the heck of it. Data theft and introduction of viruses is a prime concern for mobile workers. 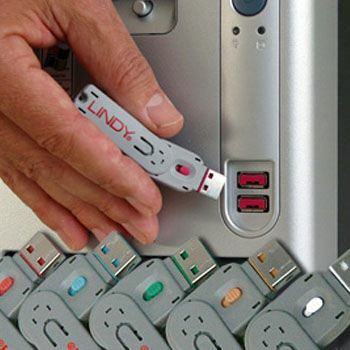 The USB Port Blocker prevents data thieves from plugging in USB devices to grab your precious data or injecting malware when you’re not looking. So, if you must leave your computer unattended for a brief period of time (or if you’re the type that gets so absorbed with work that you don’t notice your surroundings), this is a nifty device to help you physically block points of entry into your laptop. Charge up your gear and help the environment at the same time, who can say "no" to that? The Solio Solar Charger is a multi-compatible device charger that uses stored solar energy to charge up your other gizmos. It works with the iPhone, iPod, and most other portable handhelds. A fully charged Solio can charge two standard cell phones, and can charge as fast as any wall chargers (according to the maker). 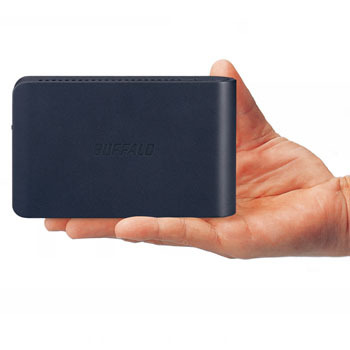 The LinkStation Mini – made by Buffalo Technology – is the world’s smallest network-attached server. 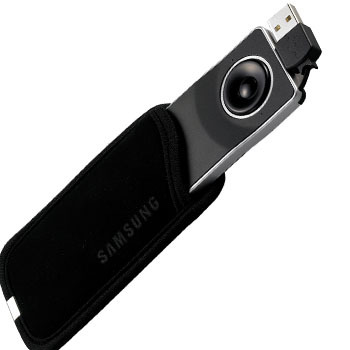 It allows you to store music, video, photos, documents, and any type of file in a centralized location. It’s easy connect to using the Web Access feature which doesn’t require any desktop application to use (just a web browser). 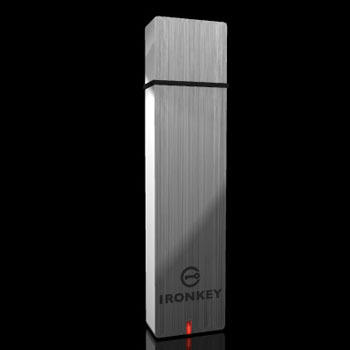 The IronKey is a super secure USB flash drive that will keep your data safe should it get stolen. 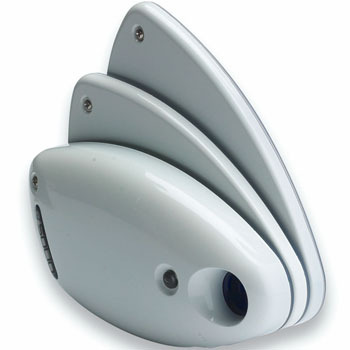 It has an onboard Cryptochip that encrypts data within the IronKey. It has a ton of other features such as giving the user the ability to surf the web privately with its Secure Session Service (and it has Firefox pre-installed so you can run it off the IronKey). 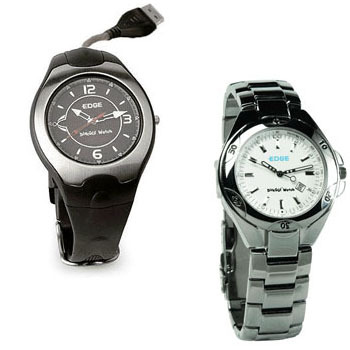 It’s also waterproof and very durable to wear-and-tear. Wear your geek-ness proudly on your wrist with the DiskGO USB watch drive developed by by Edge Tech Corp. It comes in two capacities: 256MB and 1GB. The design’s water resistant and also comes with password protection software. You can choose between the classic style and the steel dress style to suit the occasion, and the threads you’re wearing. It’s also an excellent conversation piece! Some people don’t like the built-in touch pad that’s found on most laptops. If you’d like a scroll wheel instead, but don’t want to carry a bulky mouse, check out the Samsung UM10 Ultra Slim Mouse. It’s only 8 millimeters thick so it’s built for ultimate portability. It has left click, right click, back, forward, and scrolling controlled by one button, allowing the mouse to maintain a very simple but elegant design. Does your work rely on printing documents? Maybe you just want to print out a full-color photo of yourself to give to the person you met in the coffee shop as reminder of you. 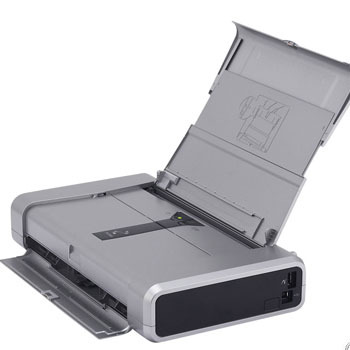 Regardless of the situation, the iP100 Mobile Printer is not only extremely portable with its small size, but can also print in hi-res, being the first mobile printer to offer 9600×2400 dpi resolution. It can also print speedily; a full-color 4’x6′ photo takes 50 seconds. Carrying a portable mass storage device is a potential security risk. If it gets stolen or accidentally left somewhere, it can be accessed if it has no sort of encryption or locking device. 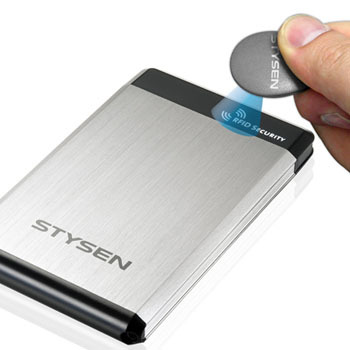 Adding an extra layer of protection to your data is made easy with the STYSEN E08 RFID Security Mobile Disk. It works by locking your hard drive which you can then unlock using an RFID key. There you have it, a list of 10 nifty gadgets to help you manage a mobile workspace. Did I miss something worthy of mention? If so, drop a comment to your favorite gadget in the comment section.